Winemaker Hugh Davies has crafted a Cabernet Sauvignon that expresses the historic Diamond Mountain vineyards he explored from early childhood. Named in honor of his father Jack L. Davies, this is wine is a culmination of 40 years of intimate knowledge of a place and a passion to create a delicious red wine after more than three decades of creating world-renowned sparkling wines. 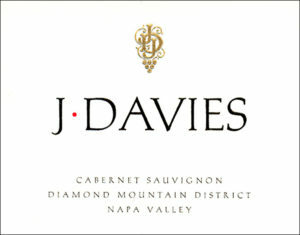 The first Bordeaux varietals were planted on the Davies family estate in 1994. Vineyard layout, rootstock, clonal and grape variety selections were revised over time, with a particular emphasis on refining the tight structure and tannic nature characteristic of Diamond Mountain fruit. The continuing success of J. Davies’ sister winery Schramsberg afforded the winery the luxury of 10 years to perfect its first wine from Bordeaux varietals: The first J. Davies Cabernet Sauvignon (2001) was released in 2004. Hugh and his viticultural and winemaking team have combined experience with this land that totals more than 62 years. The first vines on what is now the J. Davies Schram Vineyard were planted in 1862 by Jacob Schram and, at the time, comprised Napa Valley’s first hillside vineyard. This, and the J. Davies’ McEachran Vineyard (first planted in 1878), total 42 acres in size and are now the southernmost vineyards in the Diamond Mountain District AVA. Flanked by two cool creek canyons (Nash Creek to the north and Ritchie Creek to the south) and surrounded by dense coniferous and deciduous forests, the vines here produce late-ripening, richly-concentrated fruit with average yields of just two tons/acre. Forward, enticing aromas of ripe blackberry fruit are lifted by notes of anise and clove. A richly structured mid-palate resonates deep black fruit with hints of balanced toasty oak. Smooth and elegant Diamond Mountain tannins sustain a lengthy, textured finish.